In the UK, Jägermeister is the second biggest spirit in on-trade (a.k.a. on-premise in the U.S., which encompasses restaurants, bars, and similar locales). Tasked with the challenge of meeting high sales expectations and encouraging establishments to help drive sales, Jägermeister launched a boots-on-the-ground campaign to encourage consumers to purchase the highly-popular beverage. Jägermeister enlisted the help of Elevate to manage staffing and campaign logistics. Taking on the challenge, Elevate carefully interviewed and selected the best event managers in the industry. Covering 6 separate markets including Edinburgh, Glasglow, Manchester, London, Cardiff and Nottingham, the campaign is scheduled to run a total of 8 months. 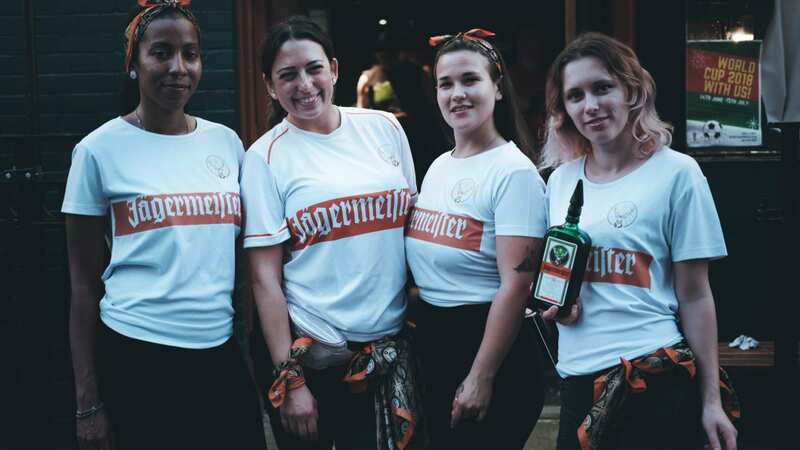 Depending on the type of activity, the event managers oversee 1 to 3 brand ambassadors per activation, as the teams successfully promote Jäger and drive sales.